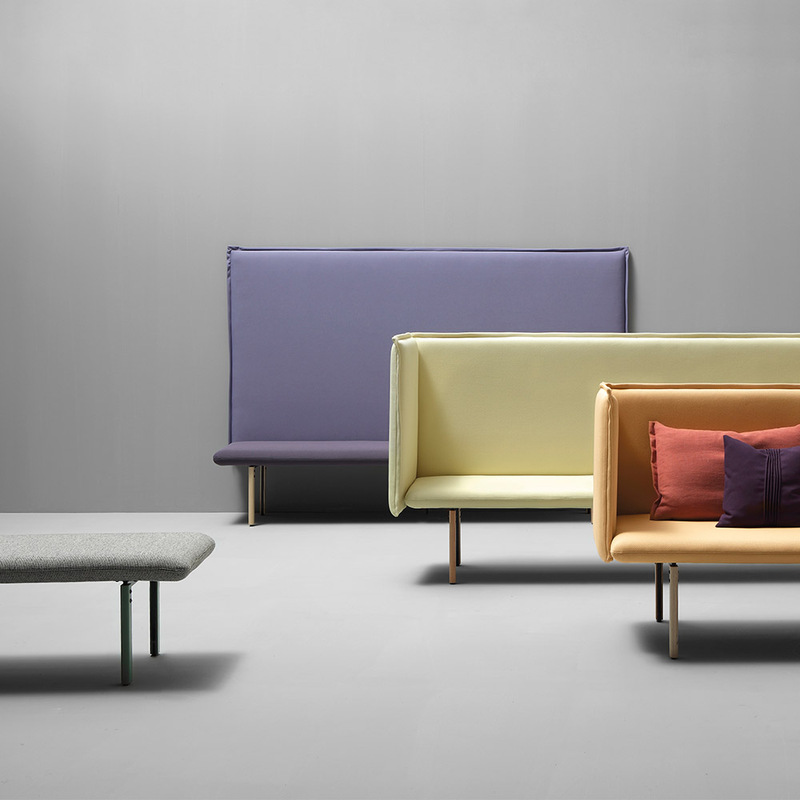 Rew Modular Sofa designed by Rafa Garcia for Sancal. 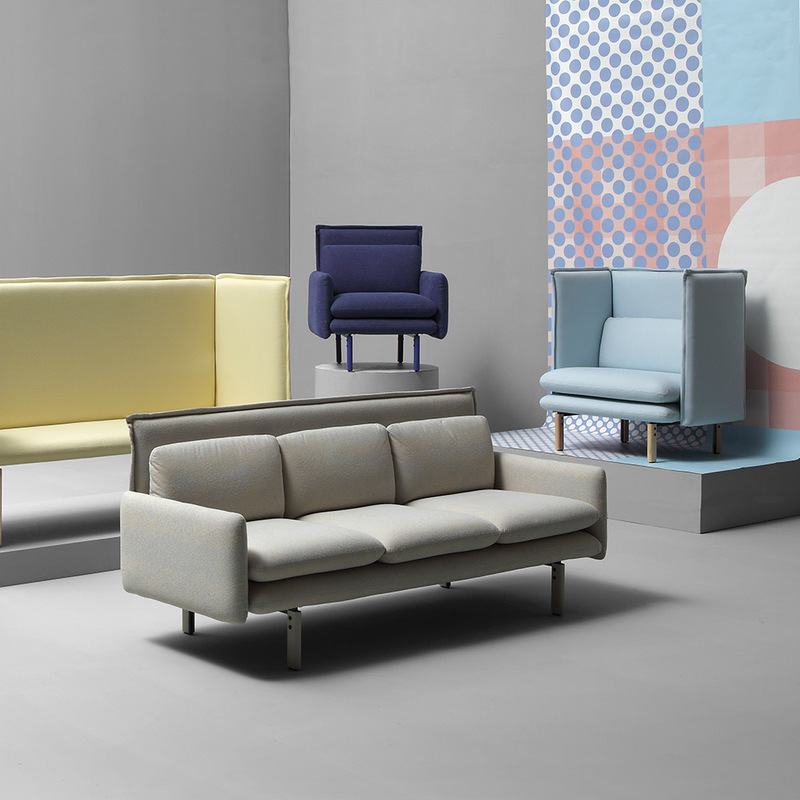 This new creation by Rafa García is tremendously versatile, and can be used for a variety of diverse projects that require pieces for resting, eating or working. Rest. 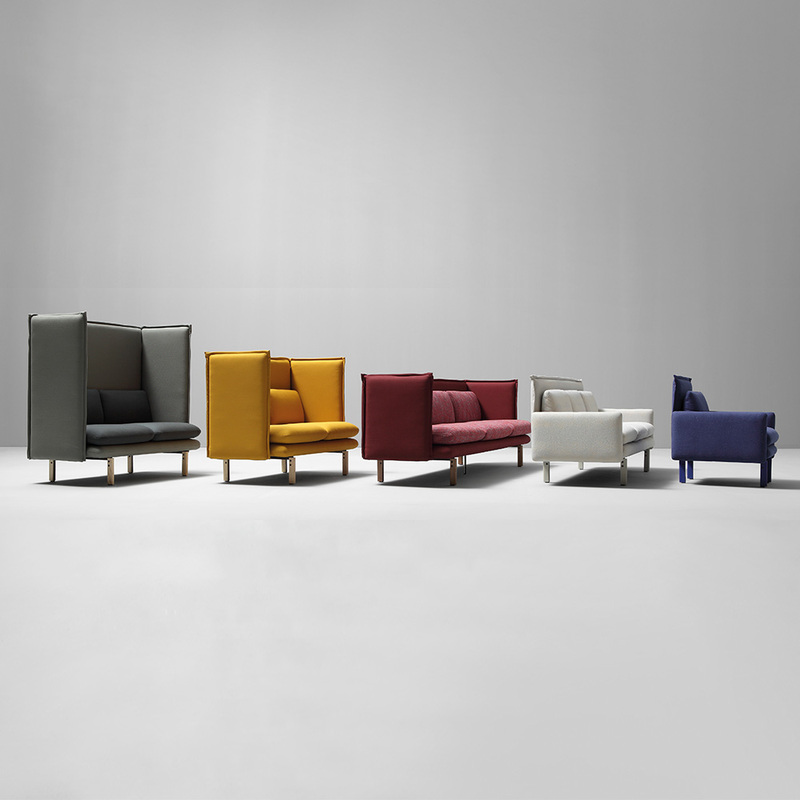 An entire family of chairs, sofas and modules, as light as they are comfortable, can be used with two different types of arm: one is high and thin like the back and the other is low and soft, like the base of the design. Eat. The “nutritious” part corresponds to an ample number of benches which can be used with a dining table. 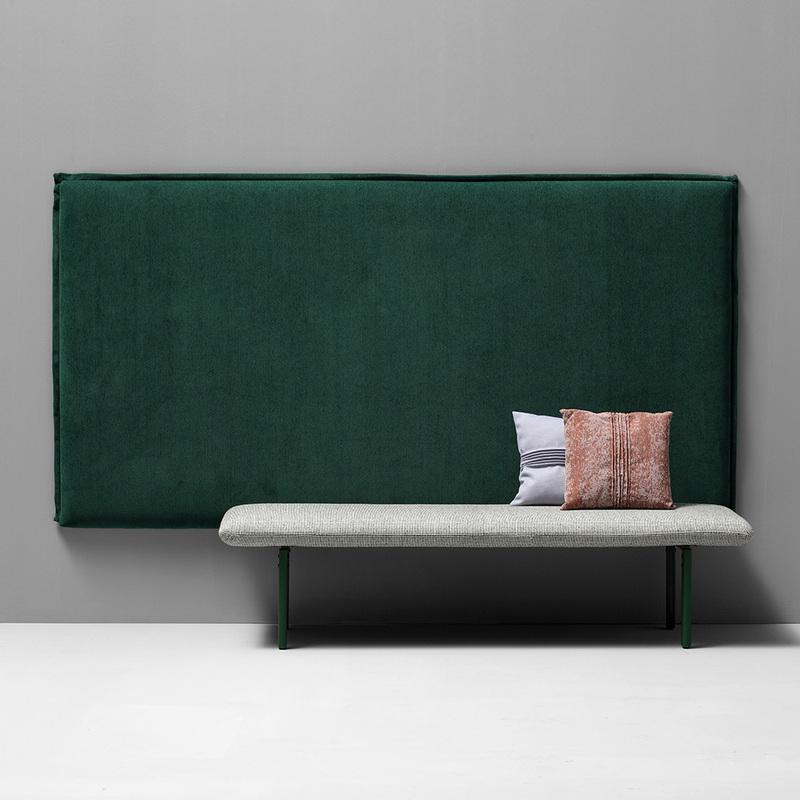 The benches can be used alone, or together with upholstered wall pieces. The benches are available in two depths (57 and 72cm). 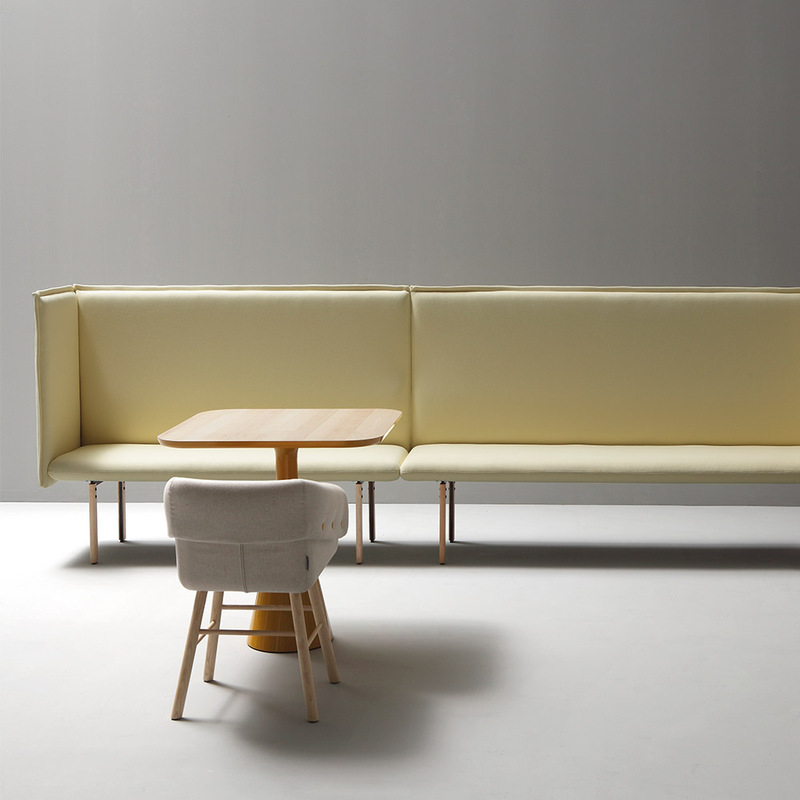 The least deep is the archetypal dining bench, providing a firm, upright sitting position. 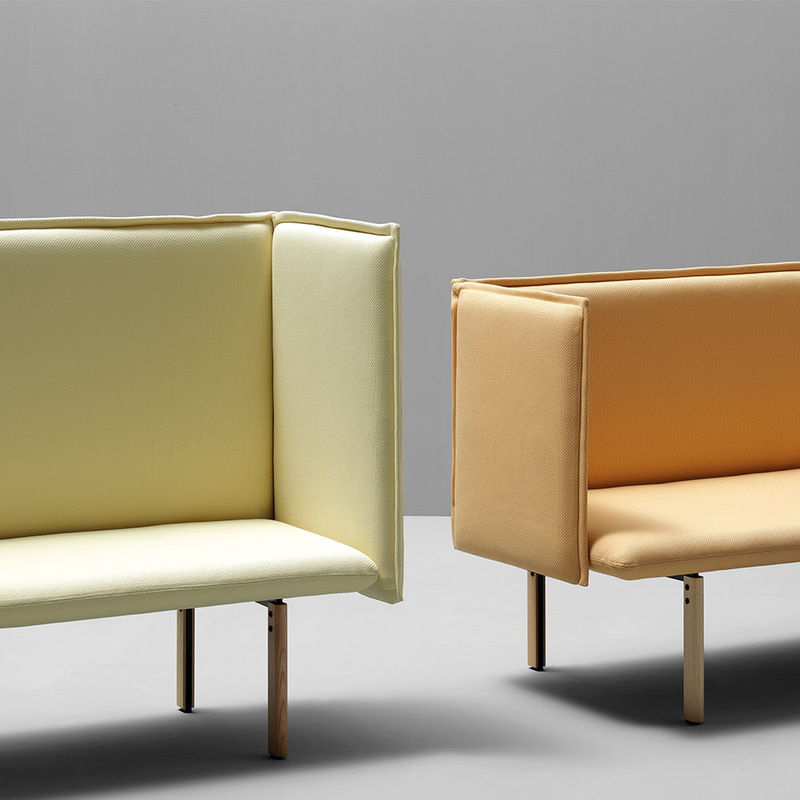 Moreover, the finish of the arms in a corner permits compositions with angles to be made. 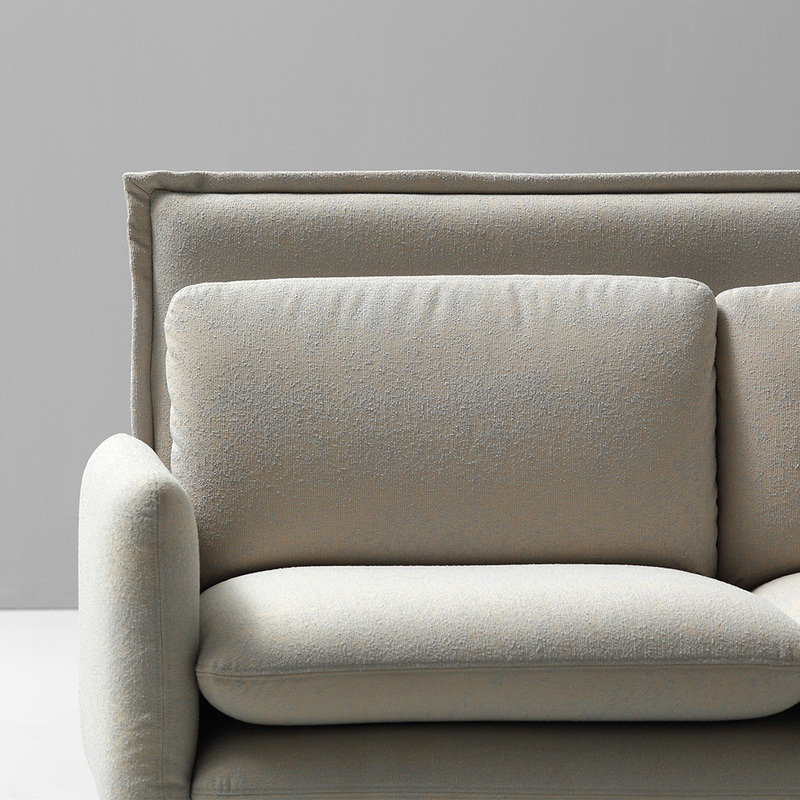 The deeper version is ideal to fill with scatter cushions and create an informal environment, perfect for long postprandial conversations. Rafa’s piece provides two back heights, 95 and 115cm. 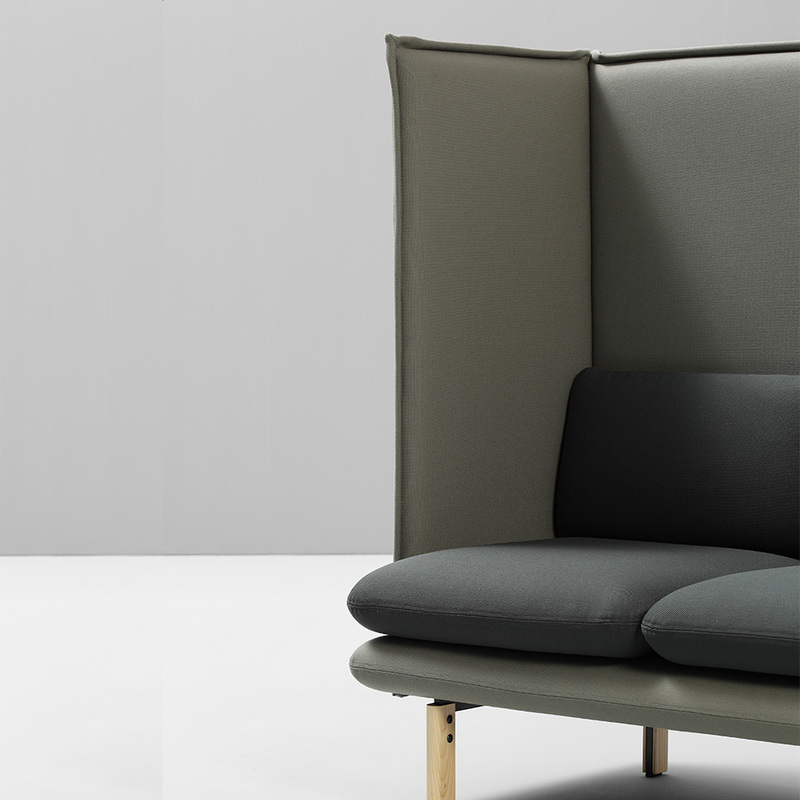 The low back creates a light design, while the higher back provides some privacy. Work. 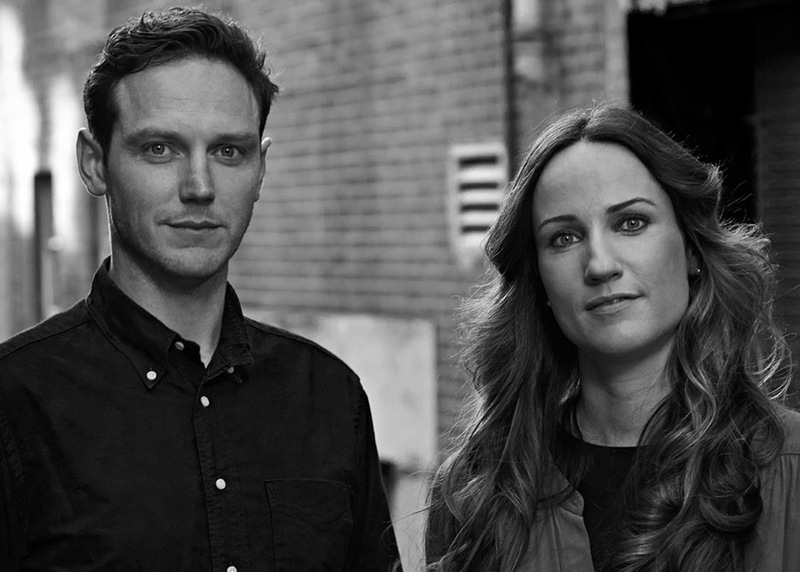 The productivity at work is directly related to our concentration and feeling of wellbeing. 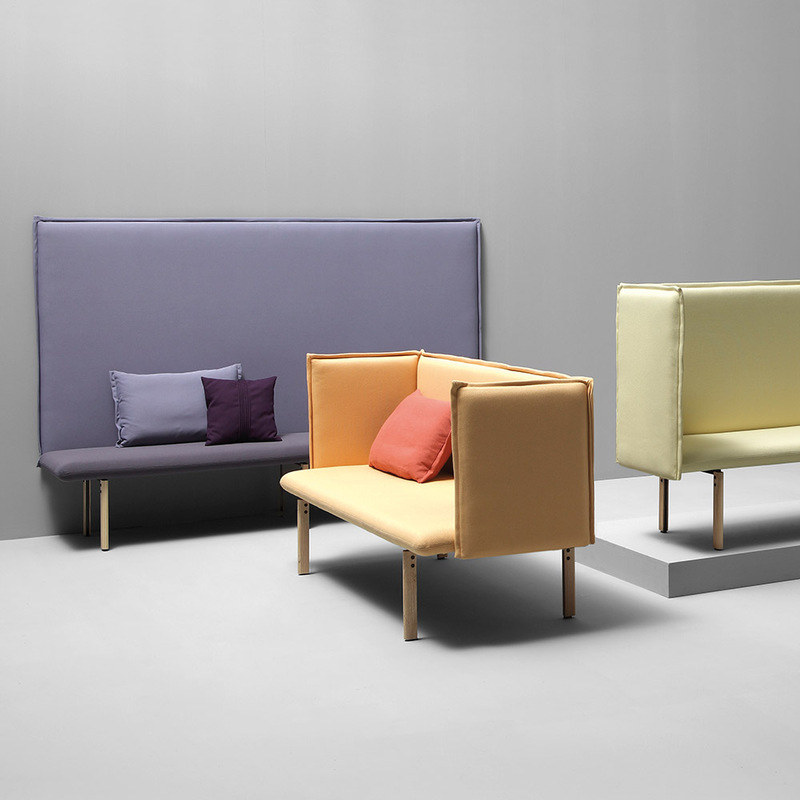 These versions of the sofas, modules, and chairs enable a certain degree of privacy in an office setting, or the hall of a hotel. Rafa has also designed a bench and a couple of cushions to complete the programme. 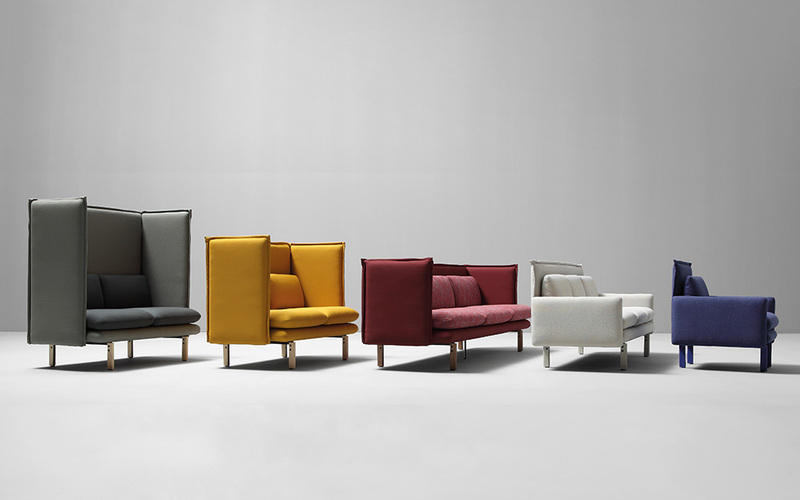 The feet are available in steel lacquered black, or ash, which can be stained to any of the colours in the Sancal collection.